This is... well, see for yourself and find out. Here's what I made. Re: Make Your Own Room! If you have no pie, then don't post. I thought pie was for the pie forum. Bah. Regardless, I made this. It fits me well, I think. 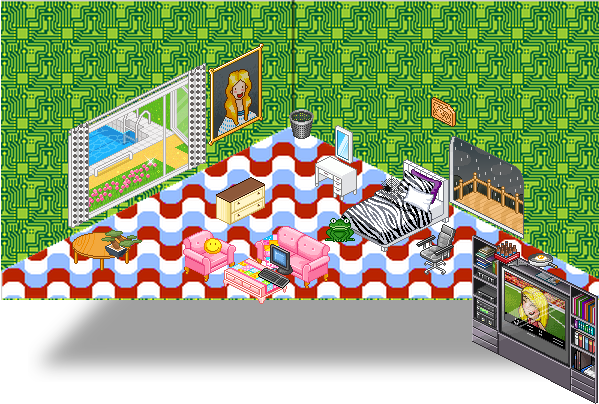 I like this room.. especially the Hello Kitty chair.